Hello friends! I am thankful that Hurricane Sandy spared my family grief and destruction. We came away with nothing to fix, mop up, pump out or file an insurance claim for. I know we are blessed, and my heart goes out to those who have been affected by Sandy. The devastation I see on TV makes me cringe. The Jersey shore took a real beating. :-( Our poor Jersey beach folks have been hit so hard. There is a zoo in Cape May NJ, and being a big-time animal lover, my thoughts have been on those creatures since before the hurricane arrived. I've seen nothing on the news about them. Since school's been closed, I just sat and crafted my heart out. I made 7 Christmas cards, one of which I'm showing today. I stamped a scripted tree image from Hero Arts' Merry Christmas Trees onto some burlap ribbon and trimmed out. It's backed with cardstock for stability and propped up with foam dimensionals. The star is from Just Rite's O Christmas Tree, and I topped it with a yellow gem stone. I took my cue from Julia's vertical elements and her white/green/kraft colors. I'm hoping (still) to be a guest designer at CASE Study, and am throwing my hat in the ring for a chance. Can't wait to show you my other cards, but I'll wait until tomorrow to post another. Thanks SO much for your thoughts, good wishes and prayers regarding the storm. It feels good to know someone cares! SO cute and clever!!! I just hoard my burlap unfortunately! oh wow i love love love this..great idea to use the burlap..looks amazing.. I am so happy to hear that you and your family are safe and sound. 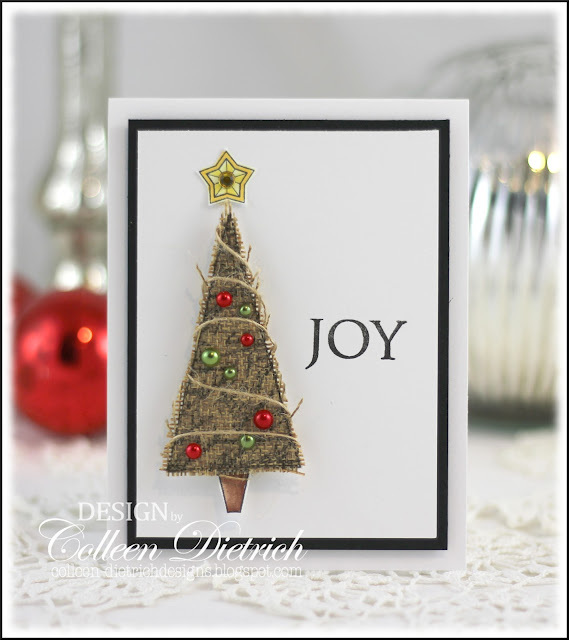 Your card is gorgeous; love the idea of stamping on burlap and the tree looks amazing! So glad to hear you are okay :) Just love the burlap tree and that big old "JOY" staring you in the face! My favorite word for Christmas :) Looking forward to seeing more. First, I am so glad you're o.k., Colleen. I have been so worried about you and your family. I've found out many of my blogging and punchie buddies are doing o.k., although some did have damage. The storm has just been devastating for so many. I LOVE your burlap tree and may have to case it. What a great idea and so pretty all decorated. Thank the good Lord you and your loved ones are okay Colleen, good news! Love this pretty burlap little tree of yours. You decorated so pretty! I love the rustic look of this tree and the garland of thread! So glad you made it through the storm without any damage! So happy and grateful that you are ok!! I love love love love your card!! That tree is GORGEOUS!!! So happy you and your family are safe. The news makes me sad. The aftermath around here is a mess. We were lucky and feel blessed. We have clean-up to do, but we are fortunate. We have down trees behind us. So lucky they fell just right. So clever! Stamping the tree on the burlap, the texture look amazing. 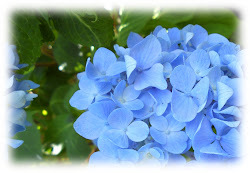 I am very sorry to hear your news and I will keep you and your family in my thoughts. Awesome textured tree. So glad to hear all is well with you and your family. The news we are seeing is devastating! Awesome texture! Wow! The news has been unbelievable, I cannot believe the devastation! So happy you and yours are safe! This card is gorgeous, love your use of burlap. Can't wait to see your other cards! 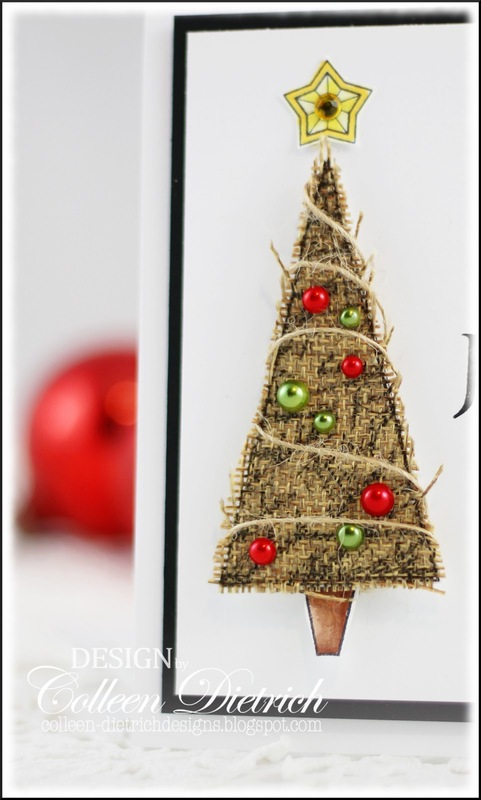 Love all the fabulous texture on your card! I can't believe all the devastation from Sandy...it's horrible. I feel blessed as well. No damage, no repairs or paper work. But I have a new appreciation for electricity. Monday around 9 PM lights out until 4:50 AM today. It's hard to craft with out light. Anyway I love your card. You know I will case it. Colleen that tree is amazing! I have not found a good source for burlap. Where do you get yours? I just love this card in every way. Wow! Gorgeous decorated burlap tree, so creative! I was keeping you in thought and prayer! So happy to hear you and family are ok without devastating effects from the storm! How awful that storm was to do so much damage for so many! Take care, hugs! 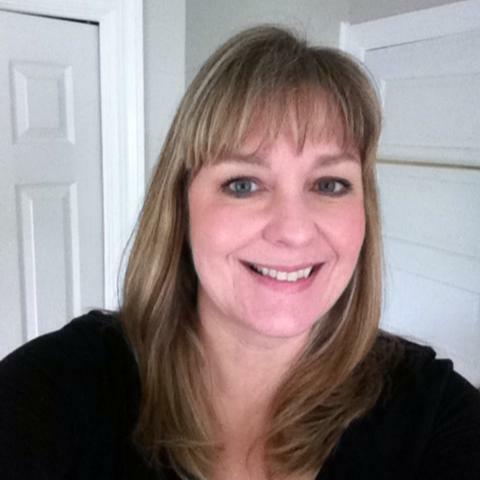 Fabulously CAS, Colleen!! This is so elegant. I love how you artfully placed those pearl "ornaments" on your lovely burlap tree! I'm so glad your family is ok, Colleen! Oh, and congrats for the top 3 at Case Study too, friend! How very creative and what a beautiful tree! I love this. If you have any problems with the Pin it button, just email me!! This is beautiful! I love the homespun feel that the burlap & twine give it...and the metallic pearls are just fab! Love the tree! And so glad you were spared the wrath of Sandy! My heart aches for the folks along the coast. We are 4 hours north of NYC and were told to prepare for days of no power. Thankfully it was only 3 hours - we are fortunate as well! So glad you are safe and sound! Plus, you didn't lose power so you could make some fabulous creations. This is no exception! I really like this with those cute little ornaments. I honestly don't see how you do it! SOOOOOOOOO glad you are ok!!!! I'm in looooooooove with this burlap tree! SO beautiful! LOVE the use of pearls!! So glad you're safe, Colleen...I think we really dodged a bullet on this one! And I love your card, how clever...and beautiful! So happy to hear you and your family are okay. WOW, the Christmas tree is so pretty, and the yellow star is perfect! Glad to hear everything is OK at your house. So many unlucky people along the coast. Love your purty little O Christmas Tree! A fabulous tree Colleen - love the texture of the burlap. A really beautiful CAS design. I am so pleased you escaped the worst of the hurricane - we have seen the devastation on our news channels here in the UK. A very good friend of mine has been on holiday in NY this week, and is due home tomorrow - I just hope she is OK.
Adorable tree , and the way you have decorated it!